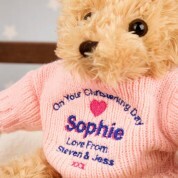 This cute and soft teddy bear is a wonderful memento for a baby girl's Christening. 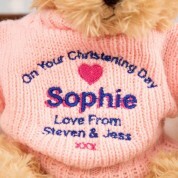 The bear's jumper is embroidered and personalised in house. 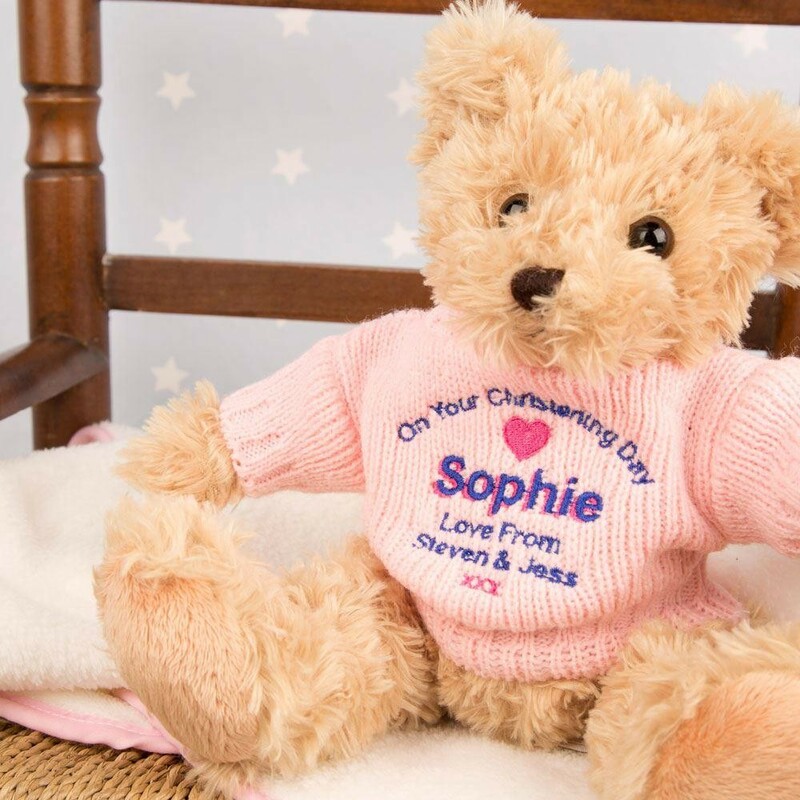 It comes with the text "On Your Christening Day" with a love heart below as standard, and is customised with the special girl's name and a personal message from yourself. She will sit proudly on display in any little girl's bedroom, reminding her of her big day when she is older.